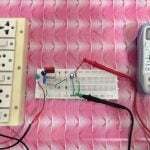 I already posted about Interfacing DC Motor with PIC Microcontroller. In our robotics applications we may have to control the speed of the DC Motor. 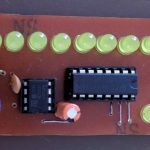 In this tutorial we will see how to control the speed of a DC Motor using Pulse Width Modulation (PWM). 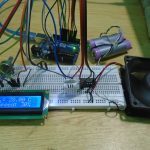 By using PWM we can easily control the average power delivered to a load and by thus we can easily control the speed of the DC Motor. You may think that a variable resistor in series with a DC Motor can control its speed. 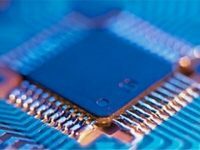 There are three reasons for “Resistor is not a good choice for controlling the speed of a DC Motor”. The main problem is that the motor is a varying electrical load so a resistor can’t do this task. It needs more power during start up than in running state. It draws more current also when a mechanical load is applied to motor shaft. The resistor drops excess energy as heat. Thus it is not good for a battery powered device. We all know that motor requires more current, so resistors with higher power rating are required to drop excess energy. 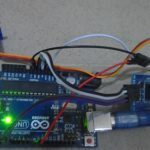 PWM can be easily generated using the inbuilt CCP module of a PIC Microcontroller. CCP stands for Capture/Compare/PWM. 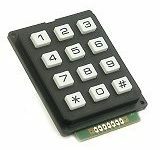 CCP modules are available with a number of PIC Microcontrollers. Most of them have more than one CCP module. 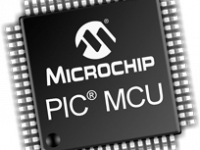 MikroC Pro for PIC Microcontroller provides built in library routines for PWM which makes our task very simple. Please refer the following articles. 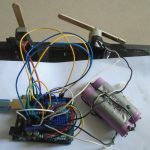 In this example project DC Motor is interfaced with PIC Microcontroller using L293D Motor Driver. Two Push Button switches are provided to control the speed of the motor. 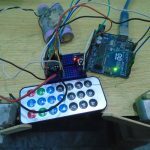 Here we are using 12V DC Motor and average DC value delivered to motor can be varied by varying the duty ratio of the PWM. The average DC Voltage of 0% duty cycle is 0V, 25% duty cycle is 3V, 50% duty cycle is 6V, 75% duty cycle is 9V and for 100% duty cycle 12V. Two push button switches are connected to 1st and 2nd pins of PORTD which is used to control the duty ratio of the generated PWM. Pressing the UP switch increases the duty cycle, which increases the motor speed while pressing the DOWN switch decreases the duty cycle, which decreases the motor speed. 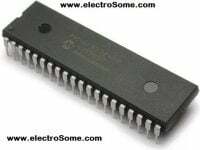 Here we use CCP1 module of PIC 16F877A to generate PWM and it is given to the enable pin of L293D. The direction of rotation of motor can be control using the 1st and 2nd pins of PORTB. The parameter of PWM1_Set_Duty() is duty ratio which ranges from 0 to 255, ie 0 means 0% duty cycle and 255 means 100% duty cycle. I think the program is self explanatory, so if you have doubts please comment below.